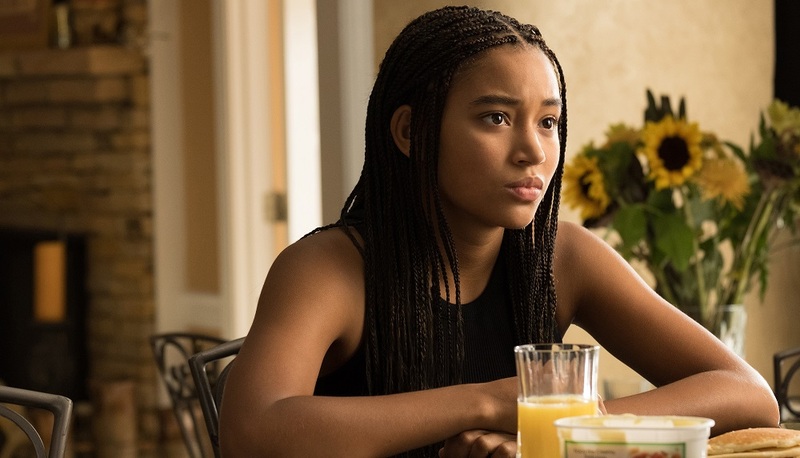 After witnessing her childhood friend Khalil (Algee Smith) fatally shot by a police officer during a late-night traffic stop, 16-year-old Starr Carter (Amandla Stenberg) is unsure of what the right thing to do is. Her father, Maverick (Russell Hornsby), is a reformed gang member who after serving time in prison now owns and operates a respected grocery store in their small, close-knit community of Garden Heights. Her mother, Lisa (Regina Hall), is a nurse at the local hospital, while her older half-brother Seven (Lamar Johnson) and younger brother Sekani (TJ Wright) help round out the family. Together, they all know Starr is under immense pressure and that ultimately it is her decision alone whether or not she wants to go public as being the only eye-witness to this horrific incident. There are complications, not the least of which is that, in order to keep them out of trouble and ensure they’ll get the best education, Maverick and Lisa ship their three kids to an upper-class, predominately white private school about forty minutes away from their home. Starr doesn’t want to stand out to her classmates as the “poor kid from the projects,” and coming forward publicly outside the anonymity of the Grand Jury would mean doing just that. More pressingly, she also doesn’t want to anger Garden Heights’ most powerful drug lord, King (Anthony Mackie), her father’s former best friend who also just happened to be employing Khalil as well. Even though the tragic traffic stop had nothing to do with King’s business, and even though the young man was unarmed and didn’t do anything to warrant being shot, Starr knows uttering the criminal’s name out loud could make her and her family a target for the drug runner’s goons, and the thought she could put any of them in jeopardy, no matter how selfless her intentions might be, gives here understandable nightmares. 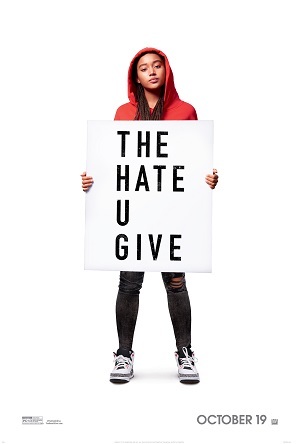 Based on the novel by Angie Thomas, The Hate U Give is one heck of a motion picture. The late Audrey Wells (Under the Tuscan Sun, Guinevere) has composed a screenplay that is richly complex, intelligently nuanced and subtly introspective, Starr’s story an operatic tour de force that grows in intensity as the teenager achieves an even greater sense of purpose while discovering a titanic inner strength she never knew she possessed. An undeniable triumph for director George Tillman Jr., a filmmaker who has long flirted with greatness with films like Soul Food, Men of Honor and Notorious yet has sadly never achieved it, this movie is a compelling punch to the gut. There’s a lot to unpack. The glory of this adaptation is that it seldom preaches. While Tillman and Wells do have to spend a lot of time having Starr or Maverick, or in some cases the teenager’s police officer uncle Carlos (Common) or determined civil rights attorney April Ofrah (Issa Rae), explain rather succinctly and in no uncertain terms what is currently going on or what a particular group of people might be thinking at any given moment, these passages of exposition still feel natural, still come across as affectingly authentic. There are few occasions where melodrama overwhelms the situation, the filmmakers instead allowing the inherent emotions swirling within this cultural, social and personal maelstrom to bubble to the surface at their own organic pace. Little is forced on the audience, and if not for a few instances of coincidence utilized to amplify the tension of the situations Starr and her family find themselves dealing with, there is a precision to the film’s narrative progression that’s just about perfect. Tillman and Wells could easily have beaten the audience over the head with didactic forcefulness. They could have to overexplain things instead of trusting the viewer to put all of these various bits and pieces together for themselves. They could have stuffed their points about social injustice, white privilege, gender disparity and political indifference down everyone’s throats and called it a day. Yet the film refuses to do that. While not entirely free of a heavy hand, even the instances where Tillman might bring down his gavel just a little bit more forcefully than he needed to (most notably whenever he’s focusing on the subplot involving King) still reverberate through the theatre with authority. It’s a fascinating balancing act, and as difficult to watch as things became there was never a moment I wanted to pull my eyes from the screen. Not one. A lot of this has to do with how warm, affectionate, loving and downright funny the film frequently is. This is a tough situation. The painfully tragic undertones fueling this complex drama are undeniable. But grief and comedy are almost always intertwined, and Wells’ script fearlessly allows laughter to fill the dark void at any number of surprising occasions. She also isn’t afraid to let her characters get angry or to be afraid. She lets them show how uncertain they are of their own feelings, the script treating indecision as an agonizing fact of life and not a trait to be ridiculed, diminished or most of all ignored. Known to most as Rue from The Hunger Games, even though I didn’t care for Everything, Everything or this past summer’s The Darkest Minds I’ve been saying for a while now just how terrific an actress Stenberg is fast becoming. Here, as Starr, she magnificently comes into her own. This is a bravura performance, and I could feel each and every inch of her emotional journey as the young woman struggled to figure out what she wanted to do. Stenberg cuts to straight to the truth with shattering minimalist brevity, and I was often caught off guard but how she could transition through so many varied states of being with such unvarnished intimacy. The actress crushed my heart and uplifted my spirits while also breaking me down to tears at the drop of a hat, and as unforgettable characters go Starr has vaulted near the top of my 2018 list entirely thanks to her. The rest of the cast is also exceptional, most notably Hornsby, the passionate depth of his performance busting stereotypes and perceptions in ways that deserve to be discovered fresh and without any spoilers from me. There is also a deft, understated turn from K.J. Apa as Starr’s clueless boyfriend Chris that charmed the socks right off of me, while Sabrina Carpenter had a couple moments as her private school classmate and supposed best friend Hailey that shook me senseless. 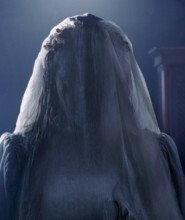 Unsurprisingly, Hall is also superb, and while she could likely play a role like Lisa in her sleep that does not mean she brings any less maternal conviction or undiluted parental authority to her performance whatsoever. There’s so much more I could say, but ultimately I feel like The Hate U Give has to be experienced knowing as little about what is going to happen or how each character is going to interact with the others as possible. Tillman and Wells have transformed Thomas’ source material into something urgently important, yes, but even better they’ve also managed to make one heck of an entertaining motion picture. See this one immediately.